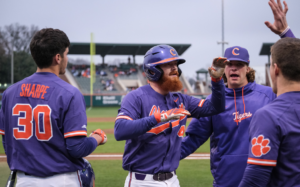 GREENSBORO, N.C. – Senior infielder Grayson Byrd was named ACC Player-of-the-Week, announced Monday by the ACC office. NC State sophomore Reid Johnston was recognized as ACC Pitcher-of-the-Week. Weekly honorees for ACC baseball are selected by a vote of a media panel and announced on Mondays throughout the regular season. Byrd (Milton, Ga.) led Clemson to a 4-0 record in four road games on the week by going 9-for-15 (.600) with two doubles, two triples, one homer, seven RBIs, 10 runs, six walks, a 1.200 slugging percentage and .714 on-base percentage. He reached base in 15 of his 21 plate appearances and had at least one hit and scored at least two runs in all four games. He did not commit an error in 15 chances in the field as well. In the Tigers’ three-game sweep at Virginia Tech, Byrd was 6-for-10 (.600) with one double, one triple, one homer, three RBIs, eight runs, six walks and a .750 on-base percentage, as he reached base in 12 of his 16 plate appearances. 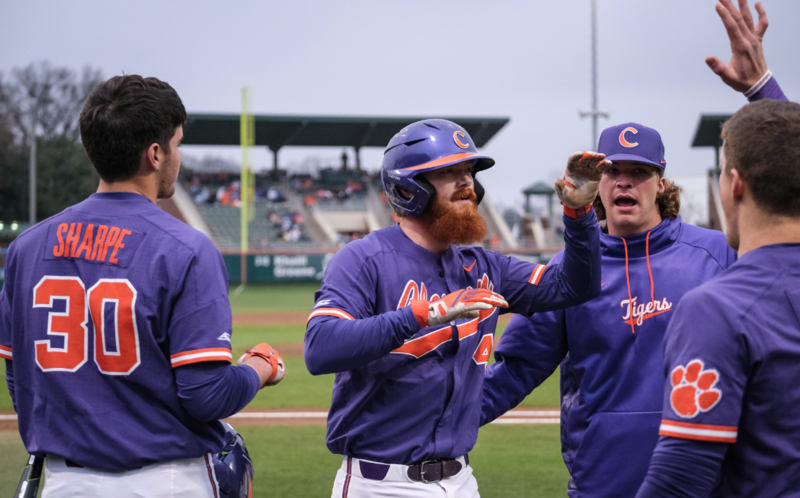 Along with going 3-for-3 with a homer, two RBIs, three runs and two walks on Friday, he made a diving stop of a grounder with the potential tying run on first base to end the game in Clemson’s 6-4 win. On the season, Byrd is hitting .327 with 25 runs, nine doubles, two triples, three homers, 24 RBIs, a .425 on-base percentage and two steals in 28 games.